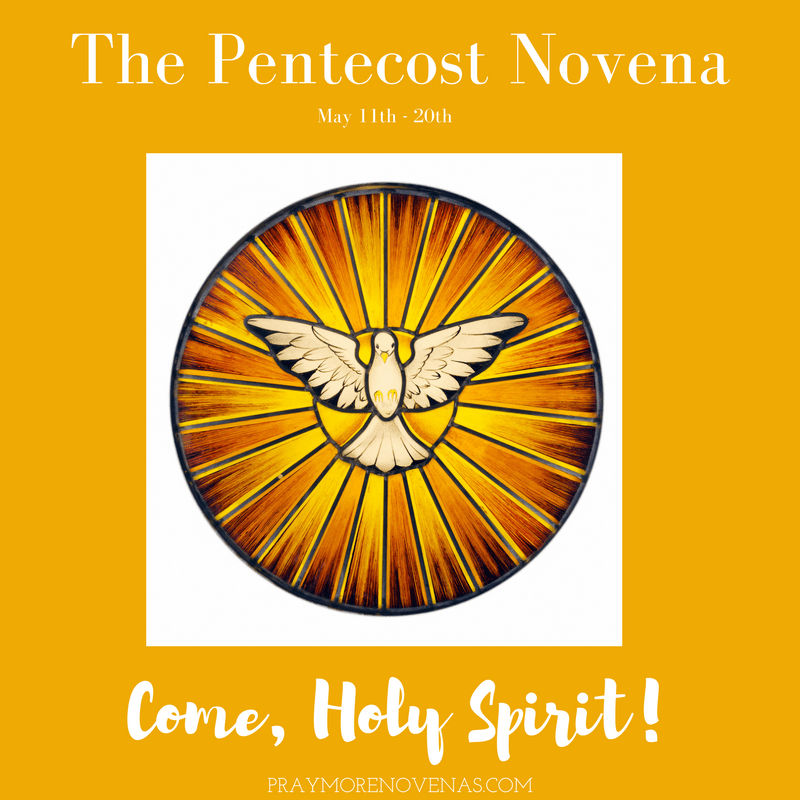 Here’s Day 4 of The Pentecost Novena! Blessed Mother thank you for the good news today that l am well. Help me to have patience with Keith. Thank you that Cathy is helping and keeping us clean. We are blessed with a good daughter. Please help me tomorrow at our meeting. Stop me doing daft things and to help me explain them away sensibly. In the name of the father. Amen. I pray that the Holy Spirit and Gods people help to spread the word on and support my husband’s wholesome teen adventure book series- thejourneyofrol.com – as he has been inspired to write pre-teen and teen adventure tales with positive messages for our youth. He is desiring to make a second career and devote full time writing using his God given talent to provide books with positive messages to teens who are navigating through torrential waters into young adulthood. The books serve as a guide to help keep them on the right path in life while having fun, developing honest friendships, and discovering the gifts of the Holy Spirit along the way. Come Holy Spirit take charge of my sin’s Situation of acceptance into medical school. Bring us the joy of his acceptance and to start medical school from fall, Jesus heal his cough and left shoulder. Bless with good news off acceptance in medical school today. I pray for your love, mercy and blessings for John. Please Lord, protect and guide him. He lost his job and his father at the same time. Please give him strength and enlightenment with all his problems. Send him the right people to help, care, protect and guide him. I wish I could help him but he left without a word, so I don’t know where he’s at and I have no contacts to him at all. Good health and financial blessings for John. May his father rest in peace and be forgiven of all his sins. I pray that everything will be alright. Lord, bless John please. Amen. ?? I pray for mercy, good health and financial blessings for my bf. I pray he will be given more hours at work so he can earn more money. I pray he will have health insurance. I pray he will pay all his debt and afford all the things he wants. I pray he will be able to go to school and pursue his dreams. Guide and protect our relationship that no matter what happens, we will always have each other. Amen. ?? Thank you so much God, Jesus Christ and Holy Spirit I passed the board. I pray I will completed all the other requirements I need with no problems at all such as: CPR class, Immunization record, and Externship. I pray I will pass my written and actual driving test so I can be truly independent on my own. I pray I will get an academic award from my school even though it is too late, but it depends on my transcript of record. I pray to the Lord, I will find a better job before my 28th birthday. Amen. ?? In the name of the Father and of the Son and of the Holy Spirit, as it was in the beginning is now and ever shall be world without end. Amen. ?? Dear Family, Please pray for my entire family to be Blessed with the gifts of the Holy spirit, and all doors that have been closed by the devil, may be reopened, all knots tied by him, may be unbound and that our lives may be restored by God and may we be protected from the devil and the side effets of his evil works. Thank you for the sense of peace I’m feeling with this novena. Come Holy Spirit and bring my nephew and his fiancée back to the Catholic Faith. Come Holy Spirit and cover LD and CA’s wedding day with your Spirit, your Love, your Guidance that their special day will be more perfect than even they could imagine with safety, health and joy for all. Come Holy Spirit shine over LD and CA with health, and longetivy and a strong and holy marriage. Come Holy Spirit and protect Gee keep; her safe from all evils that may surround her. Holy Spirit, please envelop all those undergoing final tests and exams in these next couple months. Please guide them so that in their futures they may shine Your glory in their futures. For the healing of a dear family friend, the doctors entrusted with her care, and strength and peace for her and her loved ones. O Holy Spirit my children are doing their worse exams today. Keep them forces be with them in the examination room. In Jesus’s name pray Amen. I am asking the Holy Spirit to heal my marriage which seems to be irrepairable. I ask for patience! I ask for strength and I ask for Peace. I am so very tired of the emotional pain every day! I pray for the healing and restoration of my marriage. I pray for the healing of my health and to find a compassionate and knowledgeable oncologist willing to work with me holistically. Praying for healing in my body. Physical healing and emotional. Praying also for personal intentions for family members. I pray that we will overcome our struggles with getting our house back to being a home from the destruction of Hurricane Harvey. That the Holy Spirit will hear our prayers and there are greater plans for us. In Jesus Name, Amen. For Mark’s healing, Linda’s healing and Linda Sr. For my very special need. Thank you Holy Spirit. For my son Jimmy, 6 days old, in the NICU. For my Son , that he may know God with all his heart, mind and soul. Help him find a good job, find patience with others and stay away from the evils of the world. Amen. I pray for my son that he gets the internship he has applied for. I pray for my little nephew that they can hold out for his open heart surgery, and that he starts to gain some more weight. Holy spirit. Please intercede for me so my finances would flow. I pray for my daughter so she would be successful with her exams today. I pray for my son .Please help him and guide him. I pray for my family. I’ve been following the site and praying a few of the novenas in the past weeks, and I’ve found much depth in them. I’ve been reading to myself from the website, but tonight I gave the youtube video a try. I found the pacing and Annie’s soothing voice to be a peaceful guide to these meditations. Thank you for these excellent resources. I am praying for peace and strength as I am about to begin counseling for the burdens I’ve born for too long; burdens of abuse which lead to shame and eventually addiction. God has shown me His grace this past Lenten season, and He personally called me forth from my tomb of sin, self-doubt, and self-condemnation, to truly live in Him. I pray for wholeness, the ability to face this life instead of wishing it would end, the desire to be able to give and to love, but first to accept love, to be successful in my calling, and to become a capable man, a good provider, a husband and father (hopefully), and to live and love as the Father intends, the Son has instructed, and the Spirit guides. Amen. I pray, seeking restoration of my marriage and reunion of my family. In the name of The Father, The Son and The Holy Spirit, Amen!! I have read and prayed also for your prayer intentions. On the day before the exam (at least 24 hours before the exam) do not study or read anything related to your nursing board studies, do not review anymore, at all. During that 24 hours before your exam, commit your time to God. Do not clutter your mind with oh so much to know. In that last 24 hours, if you don’t know it by then, trying to push in a little more knowledge will only result in frightful confusion on the exam day. Instead, lay it before God, put it in His hands, that His will be done for your future profession. When I took the exam, I was counting the questions as I went along. I don’t remember exactly, but after only 70-80 questions my computer shut off! That really frightened me, but the truth was that I had successfully answered all the questions! Devote that last 24 hours to the Trinity, that the Holy Spirit will envelop you in His power, that Christ will take your hand to guide you through, that God will keep you in His hands. Good luck, and may the grace of God be with you.